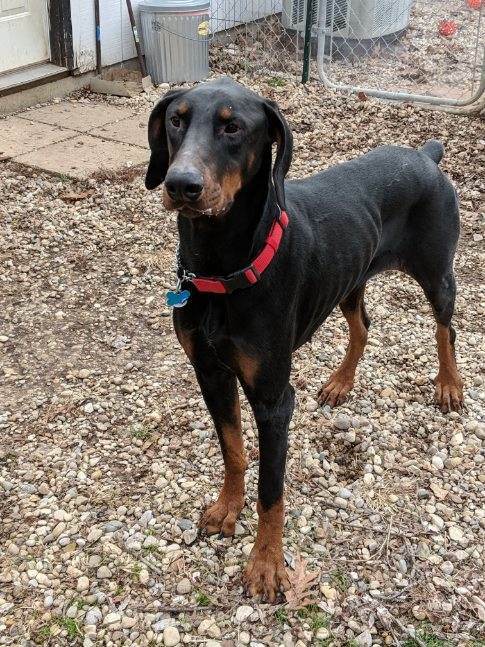 This handsome dobie-dude is Zeke, he will be 2 years old in March. 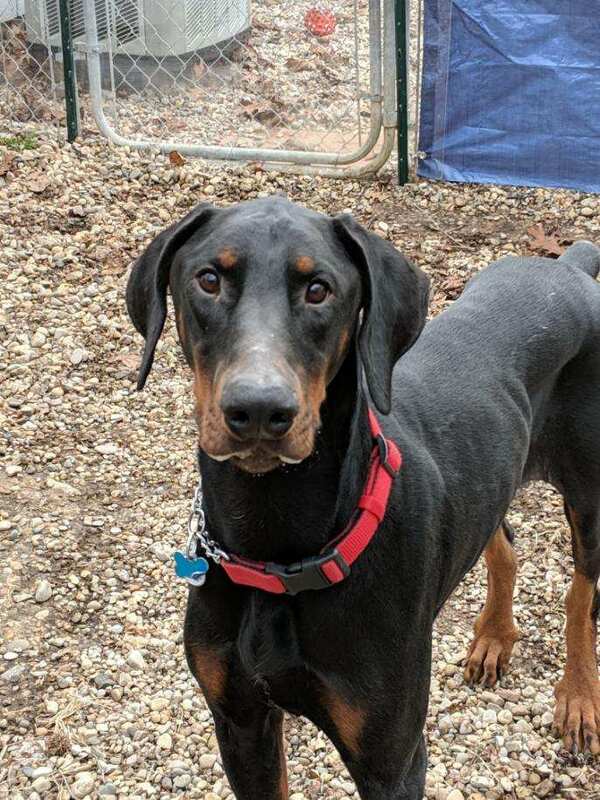 Zeke was living with a family that loved him very much but because of prior obligations they found they did not always have the time to devote to Zeke that they knew he needed and deserved. 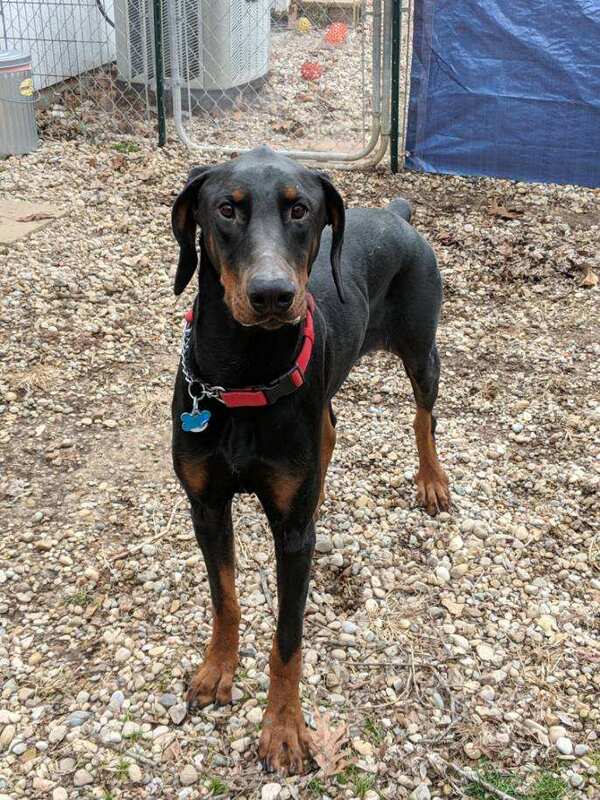 Since Zeke has been with us we have found out that he will do best in a home with a female dog of a similar size or be an only dog. He is a little too interested in kitties so also needs a no cat home. Zeke is a great watch dog, he will let you know when someone is around. He loves his people but can act like a bratty teenager and "talk back" when he isn't getting his way. He will need to go to a home that has Doberman (or similar working breed) experience ONLY. We will not consider anyone that does not fit that criteria. 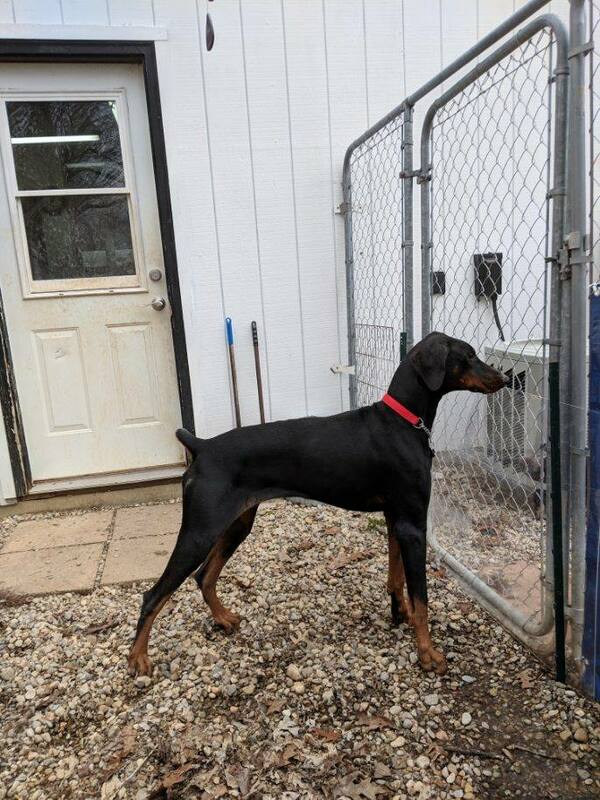 Zeke needs a structured home that will take the time to train him properly. He needs to be on a schedule so he knows the boundaries that he can and definitely can not cross. Zeke is house and crate trained. He will need to go to a home with a physically fenced in yard. We know the perfect family is out there for Zeke. Since he is in need of a lot of attention a home with small children will not be considered, this includes a household where children live or visit. 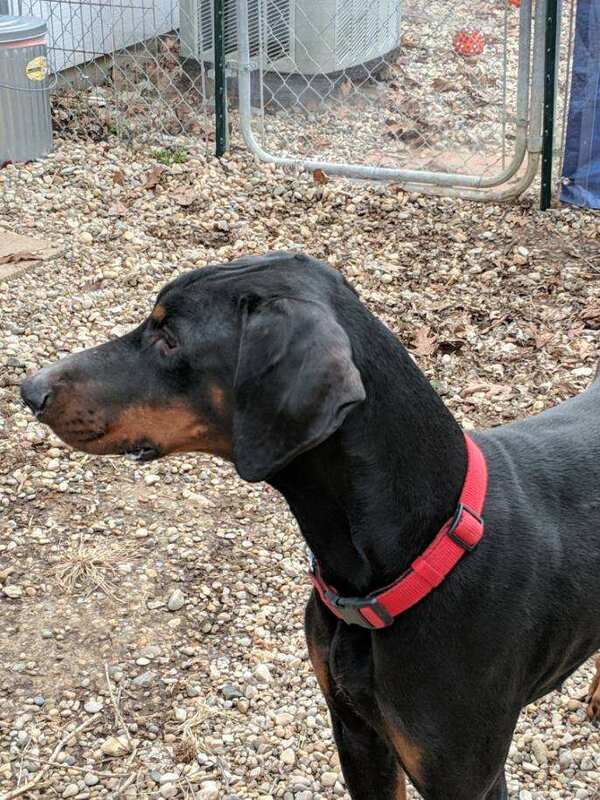 Doberman savvy older teenagers will be fine but they also must be a part of the training process for him.